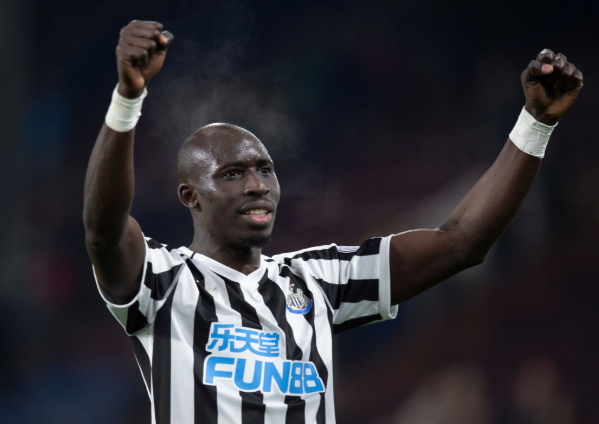 Mo Diame speaks out about his NUFC future after fears emerge that he could leave this summer – NUFC blog – Newcastle United blog – NUFC Fixtures, News and Forum. Mo Diame has insisted that he is ‘happy’ on Tyneside and keen to stay at the club – but admits that his future at Newcastle is completely out of his hands. It’s been revealed that the club are happy to grant the player an extension up until the summer of 2020, but the Chronicle claim that Diame is hoping for a two-year contract. It seems a certain contract clause inserted into his current deal will mean he’s granted a one-year extension if he plays a certain number of games between now and the end of the season – however it’s not yet clear if he’ll reach that target, leaving his future very much up in the air. “My thinking it still the same…I’m happy here, but it’s not me who’s going to decide about my future. “I just try to help the team to get the target, and afterwards we’ll see. “It’s not the moment to talk about my future. I’m happy and settled down in Newcastle. “Everything is OK. I’m focused on the target, that’s it. It’s a frustrating situation, especially when you consider that he and Benitez are both clearly very keen to get this sorted out so that he stays at St James’ Park. I saw a recent poll – which had thousands of votes on the Chronicle – and just 63% said they’d like to see him land a new deal. He may be turning 32 this summer, but he’s done a very solid job in the side over the past year, is one of few good tacklers in the side and a player with the sort of Premier League experience we sorely lack. Personally, I’m hoping this gets sorted out as soon as possible, both for Diame AND Benitez’s sake – with it having been made clear that Rafa is very keen to keep him.